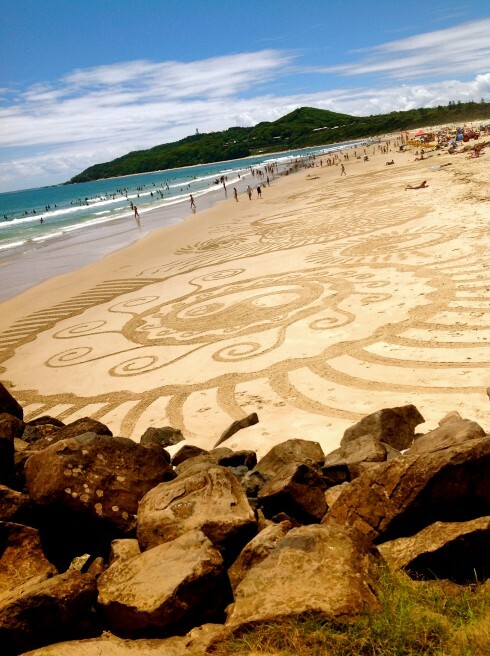 Some people have real talent, like whoever did this to the beach in Byron. So beautiful! I’m so happy I get to experience these amazing places with these amazing people. Now we are back home in Melbourne trying to recover after the roadtrip. After a smashing finish with celebrating Australia Day down in Sydney by Ambers parents house on the Hacko where we went out wakesurfing, playing cricket and cruising around we’ve now slept for like 2 days. I really enjoyed meeting Melissa Marquardt who, in my eyes is one of the gnarliest riders in the world and a huge inspiration when it comes to sick style and winching skills. It turns out she is the nicest and funnest chick to hang out with as well!